Martha Dell Shaver Parker, 74, passed away Sunday, October 7, 2018 at home in Votaw. She was born August 6, 1944 in Grapeland, Texas to parents, Bennie Malcolm Shaver and Ruth Colkin Shaver. Graveside service for Mrs. Parker was October 10, 2018 at French Cemetery with Rev. Jeff Day officiating. Arrangements were under the direction of Pace-Stancil Funeral Home in Dayton. Martha was a longtime resident of Dayton before moving to Votaw. She retired from Dayton Independent School District where she taught for over 30 years. Martha was preceded in death by her parents, B.M. and Ruth Shaver; her husband, Doug Parker; her brother, Michael Shaver and her mother and father-in-law, W.R. and Lillian Parker. 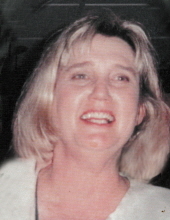 She is survived by her children, Robert Parker and wife Kathy of Liberty and Paula Parker Cogswell of Votaw; grandchildren, Kaylee, Kamryn and Keaton Parker; sister-in-law, Joann Vasina; brothers-in-law, David Parker and Doak Parker; also numerous nieces, nephews, other relatives and friends. To send flowers or a remembrance gift to the family of Martha Dell Parker, please visit our Tribute Store. "Email Address" would like to share the life celebration of Martha Dell Parker. Click on the "link" to go to share a favorite memory or leave a condolence message for the family.